Having more than 6 years of clinical experience across India, Kuwait. 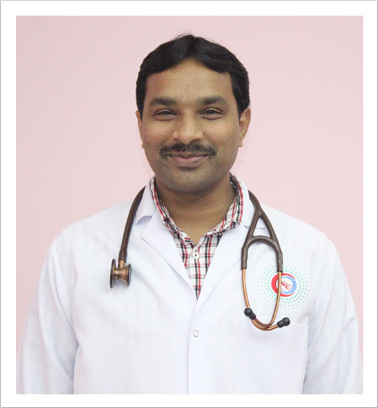 He did his MBBS from Kempegowda Institute Of Medical Sciences, Bangalore, India in 1998 and attained his MD in General Medicine from the leading Institute Kasturba Medical College , Mangalore in 2008.During his PG he has received special training in Cardiology from Jayadeva Institute of Health Sciences, Bengaluru and training in Neuro-Medicine from NIMHANS, Bengaluru.He has worked with one of the leading healthcare providers in India-Yashoda Hospital Hyderabad . After his Post Graduation he has gained additional certifications. He is an expert with treating conditions such as Diabetes Mellitus, Hypertension and Hypercholesterolemia, Obesity.